For nearly 140 years, Thomas’® English Muffins have been a proud staple at American breakfast tables. In honor of National Breakfast Month in September, Thomas’ — the #1 English Muffin in America — is celebrating by launching a nationwide search for the #1 English Muffin Fan. 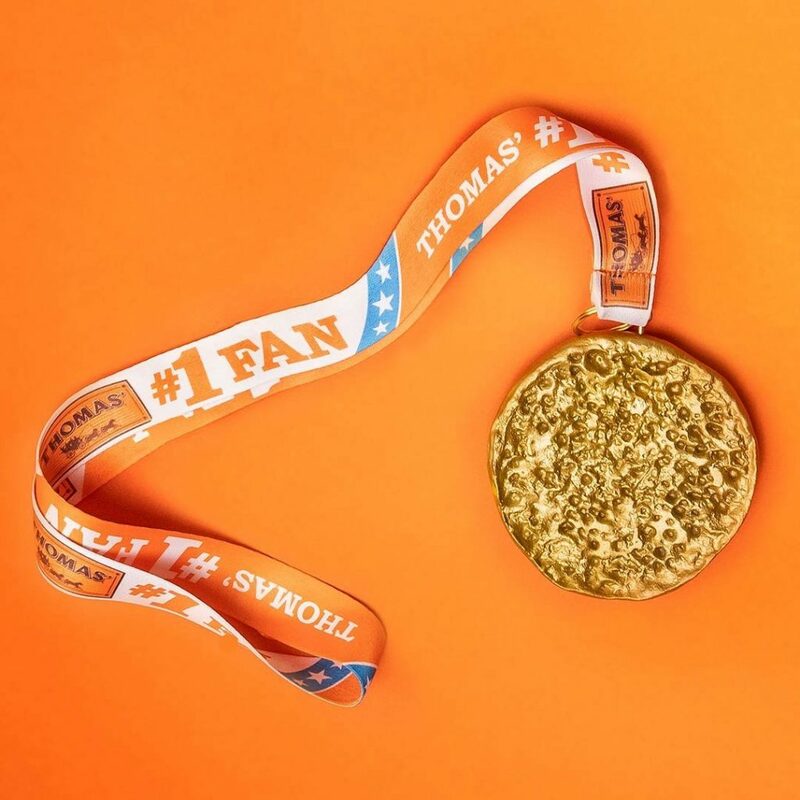 One ultimate winner will be awarded with a prize worthy only of Thomas’ true #1 fan: a coveted and one-of-a-kind golden English Muffin medal, free English Muffins for a year and plenty of Thomas’ swag to fuel their love for the Nooks & Crannies® goodness. From September 4, 2018 to September 15, 2018, fans can head to the Thomas’ Facebook page to submit why they deserve to be named Thomas’ #1 English Muffin Fan. From a morning routine that simply isn’t complete without the goodness of Thomas’ to getting creative in the kitchen with fun and unique English Muffin recipes — Thomas’ wants to hear why fans’ hearts only beat for the Nooks & Crannies perfection. Thomas’ will select its three favorite submissions for a nationwide consumer vote between September 22 – 29, 2018 to crown the winner as the #1 English Muffin Fan. The Thomas’ brand dates back to 1880 when Samuel Bath Thomas created his original English Muffin in New York City using a secret process that included griddle baking to create a Nooks and Crannies English Muffin. Today, Thomas’ sells the No. 1 English muffin and the No. 1 grocery bagel in the U.S. For a full list of Thomas’ products, visit www.ThomasBreads.com and for full contest rules visit the Thomas’ Facebook page. This entry was posted in Home Cook and Foodie Opportunities. Bookmark the permalink.